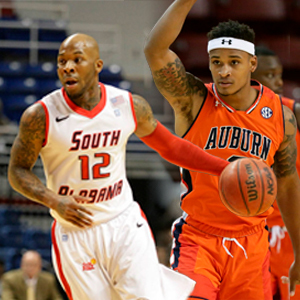 MOBILE, AL – South Alabama head basketball coach Richie Riley confirmed that Auburn and South Alabama will be playing a series of games in the next two seasons. “We love to get a two-for-one, especially if it’s a high-level opponent in our state,” Riley said. “It’s a great thing to get Auburn here on our campus. Riley was hired as the head coach in March after South Alabama announced they would not be renewing Matthew Graves’ contract. Riley has high hopes for the Jaguars as they head into his first season as head coach. Before coming to South Alabama, Riley was the head coach at Nicholls State, where he led the team to a regular season conference title in the Southland Conference. Riley has been working with the team since his arrival, and he has already assessed what changes need to be made. “Our personnel fits what we do,” Riley said. “We press for forty minutes. “We want to wear on you, and we want to add to that. We play fast, but we play with discipline. They averaged 12 assists and 15 turnovers. The full season schedule for Auburn and South Alabama has not been released for the 2018-19 season. For more information, tune in to Sports Drive on WNSP weekday afternoons from 3 p.m. to 6 p.m.